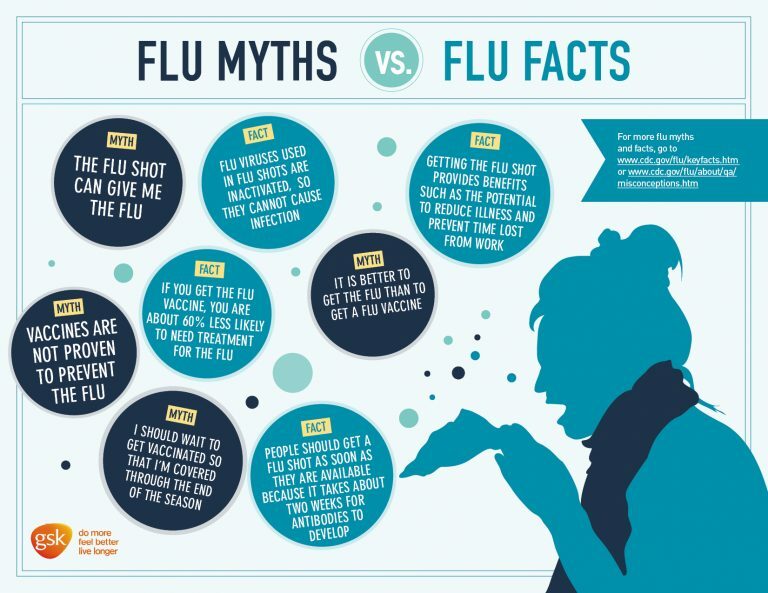 My fellow blogger, Tara Haelle, spent numerous hours putting together the Top Myths about the flu vaccine. She debunks these myths completely out of the water. But antivaccination myths are never static, there’s always a new variant. Today’s myth is that the flu vaccine is being pushed because of money–that the flu vaccine somehow fills the coffers of the pharmaceutical industry. Before I get to the actual numbers, I’m going to draw a line in the sand. Actually two lines. First, I think pharmaceutical companies have the right to make a profit, because they take on all the risk. We forget that pharmaceutical companies invest in a lot of products that fail to get through clinical trials (because clinical trials are the gold standard of determining safety and effectiveness). They invest in manufacturing. They invest in people who do the research and development. For the non-business person, there’s an odd assumption that the risk capital to make those investments somehow comes free of charge. A well-run corporation needs to generate profits to pay for the next best thing, whether it’s a new lifesaving cardiovascular drug or a new cancer therapy. Or a new vaccine. The second line in the figurative sand is that just because a pharmaceutical company makes profits does not make them unethical or immoral. That’s a logical fallacy of the highest order. Maybe some who make this particular accusation about real human beings can themselves be bought by dollars, so they apply their own moral failings to others. Yes, some Big Pharma companies are annoyingly corrupt at many levels (I look at you Glaxo SmithKline). But many instill a credo of concern for the patient and health care workers above everything else. Why? Because it is well understood that doing the right ethical thing usually brings higher profits in the medical products industry. Then, what are the facts about flu vaccine profits? Worldwide sales of flu vaccines in 2013 was around $3.1 billion, according to estimates of a healthcare market research firm. Yes, that may appear to be large, may drive strategic interests of the main companies that manufacture influenza vaccines: Sanofi Pasteur, Glaxo SmithKline and Novartis. But let’s put this in context of the worldwide sales of all pharmaceutical products in 2013–nearly US$1 trillion. In other words, various flu vaccines make up less than 0.3% of worldwide sales of Big Pharma, so from a strategic point of view, it’s not that interesting. Just for context, cholesterol lowering drugs, like statins, sold more than $33 billion two years ago. If I were a Big Pharma executive, I’d be telling my R&D and Marketing divisions to invest in new statins, because the potential return on investment could be 10X higher. Glaxo SmithKline. Total sales $32.3 billion. Flu vaccine sales $420 million, or 1.3% of their total sales. Novartis. Total sales $57.9 billion. Flu vaccine sales $215 million, or 0.4% of their sales. Note: the remaining $1.1 billion in flu vaccine sales is spread over 15 other manufacturers, none of whom have a major market share. One of the errors made by this who use sales as their standard of analyzing the importance of a product over other statistical factors. For example, as a corporate executive, sales was not as important as other factors, such as net profit. Technically a product that has lower sales, but a much higher net profit percentage is a much better investment for a corporation. As I reviewed previously, vaccines in general have a lower net profit percent, around 43.8%, than other pharmaceuticals, which have a net profit of around 46.3%. There are many reasons for the lower profit for vaccines, but it’s mostly due to shipping and spoilage loss. For flu vaccines, it’s actually much worse. Flu vaccines are only useful for one flu season, so anything unsold at the end of the flu season is destroyed. There are often shortages of flu vaccine when demand is higher than expected, like during pandemics. In addition, flu vaccine manufacturers could have a higher cost of goods (which is the cash cost of manufacturing, distribution and returns) than the average 32% for other vaccines–possibly closer to 34%. Thus, if you look at flu vaccine as a profit center for Big Pharma, there really are better strategic and tactical choices for pharmaceutical companies. I’ve written about this before–if Big Pharma were run solely for profits over all other considerations, then they would stop making vaccines. If pharmaceutical companies stopped selling flu vaccines in the USA, out of a population of 320 million people, it is estimated that vaccines prevent around 78,000 hospitalizations in the USA. In addition, the estimated annual deaths from flu would probably be 6,000 to 100,000 individuals. Setting aside the costs of lost productivity and deaths from the flu, both of which are estimated to be very high, hospitalizations alone would cost around $4,000 per individual, or a total of nearly $300 million. Furthermore, millions of individuals, in a full blown flu outbreak, will visit their physicians and emergency rooms, adding another $1 billion or more in health care costs. And that’s just the USA. It’s probably 3-5X these costs if we looked at the whole planet. And Big Pharma would capture about 30-40% of those healthcare costs, for consumable supplies, drugs, treatments for secondary infections, and other products. And these products have a much higher gross profit than vaccines. In other words, if we assume that pharmaceutical company decisions are strictly driven by cold blooded profit, it might make more sense to stop selling the flu vaccine, and sell supplies to the hospitals and physician offices. Ebola would be nothing compared to a full blown flu pandemic in profits for Big Pharma–and to be completely ruthless about this disease, but Big Mortuary would be dancing in the streets. Some probably would say “take vaccines from drug companies and let governments manufacture and distribute it.” Really? The US government, and from what I can tell most governments, are barely capable of repairing streets, let alone manufacturing flu vaccines. The investment in manufacturing vaccines is huge, something outside of the budget of most governments. And I’m not sure I would trust the FDA to self regulate development and manufacturing of vaccines. At least the FDA is mostly antagonistic to Big Pharma (despite what is believed without evidence), rejecting nearly 90% of drug applications in most sectors. I’m pretty sure it wouldn’t work that well with the government doing it. Who knows what a new US President would do, someone who is opposed to vaccines for example. 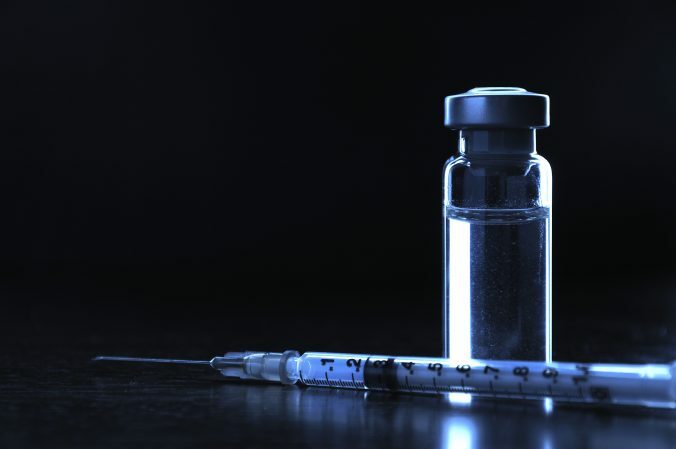 The flu vaccine is not perfect. Every year, major health care agencies in countries all across the world attempt to guess what variants of the flu will be most prevalent. Sometimes they get it right. Sometimes, they don’t. But it is safe, and it’s much more effective in preventing the flu than anything else. Period. Unless you lock yourself in a sealed room every flu season, and sterilize all foods and other stuff that enter your room. In fact, the myths about flu vaccines are myths simply because they are unsupported by real scientific evidence. They are myths because they are easily debunked by real scientific evidence. Flu vaccine sales are small portion of worldwide pharmaceutical company revenues, less than 0.3%. The Big Three flu vaccine manufacturers make less than 4.5% of their total corporate revenues with the vaccine. Other pharmaceutical products have up to 10% greater gross profits than vaccines. The better strategic choice for Big Pharma companies is in other drugs. If Big Pharma stopped making vaccines, they would probably make more money at a higher profit percentage. Basically, this particular flu vaccine myth has little merit. It’s a strawman argument which does not have any material impact on the reasons to get or not get the flu vaccine. There are really no logical excuses for not getting the flu vaccine–unless you enjoy getting really sick and putting yourself and others at risk of going to the hospital and dying. The choice really is easy. Editor’s note: This article was originally published in October 2014. It has been revised to fix broken links, update format, correct some grammatical and spelling errors, and to include more current information. Centers for Disease Control and Prevention (CDC). Estimated influenza illnesses and hospitalizations averted by influenza vaccination – United States, 2012-13 influenza season. MMWR Morb Mortal Wkly Rep. 2013 Dec 13;62(49):997-1000. PubMed PMID: 24336131.